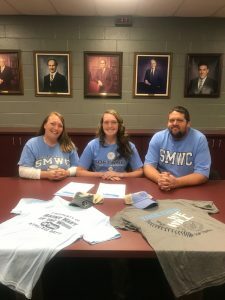 Congratulations to Lyric Krause as she signs her National Letter of Intent to play softball at Saint Mary of the Woods College in 2019-20. Lyric will be finishing her high school career this spring for the Lady Vikes. Krause was also a key player the past four years on the volleyball team.